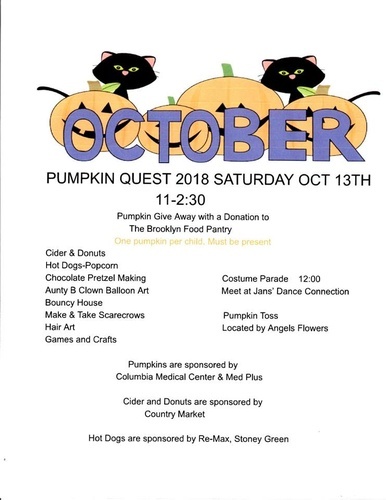 Pumpkin Quest is a free festival for the entire family. We give away 500 pumpkins for a donation to our local food pantry. There are hay rides, make and take scarecrows, games, crafts, face painting, balloon animals, bouncy house and many more fun things throughout the day long event. Have the kids wear their Halloween costumes so they can be in the costume parade and a chance to win a prize for the best costume.